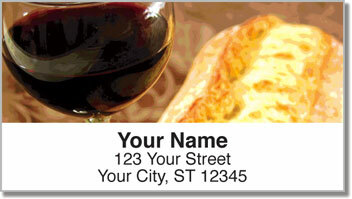 From oak aging barrels to rows of grapes growing in a vineyard, to the perfect glass of Pinot Noir - these return address labels are an excellent choice for wine enthusiasts. The next time you enjoy some fine wine, think about where it came from and what it took to get to your lips. It starts with the perfect weather conditions, which can only be found in certain places on the planet. Then a skilled winemaker will add his own personality and taste to the wine. Wine-making is an art, and your are big on art appreciation! 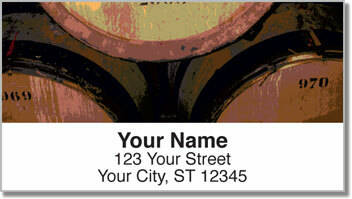 These return address labels are so convenient, you'll want to pour yourself another glass and make a toast. Since they have a self-adhesive backing, just stick them on every envelope and you're done. 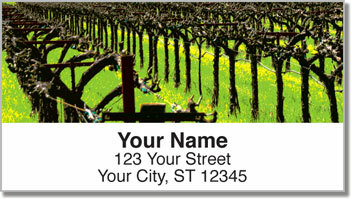 Make our Winery Address Labels yours right now! 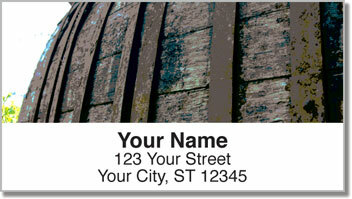 Complete the order with a set of matching personal checks.